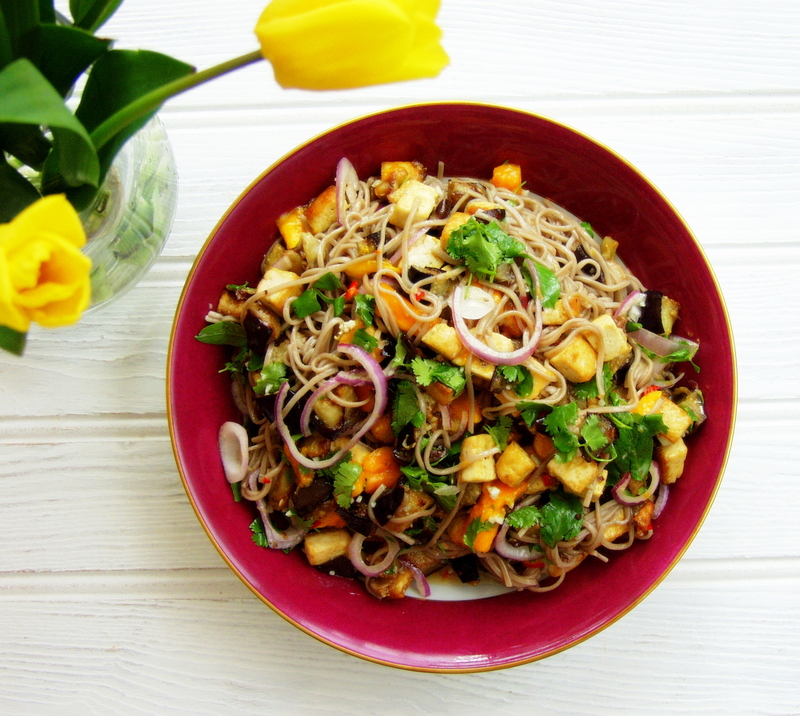 This entry was posted in Salad, Vegetable, Vegetarian and tagged addictive, aubergine, caster sugar, Coriander, lime, mango, plenty, red chilli, red onion, rice vinegar, sesame oil, soba noodles, Sweet Thai basil, tofu, yotam ottolenghi. Bookmark the permalink. Wow! I learned two recipes in one blog post! I am vegetarian so omit the minced pork in Ma Po Tofu…I am going to add spinach to the dish now. Thank you for this Soba noodle recipe. I eat a lot of tofu as well, but I think I will not add the mango because I am not fond of the fruit. Hi Frances, Thanks for your comment and so glad you liked my latest post. If you can try and get hold of an alfonso mango you may change your mind ;o). If you come up with another fruit that works well in the dish let me know. I was thinking maybe nectarine may work well, but again it has a similar texture to mango. Best of luck. That sounds addictive. Very beautiful! Looks absolutely yummy! You are making me hungry now. Thanks Leemei. So is your book ‘Lemongrass and Ginger’. does look every but as addictive as you say. the colours are just stunning! Thank you. The combination of flavours really works. I hope you get to try it. Thanks for commenting.